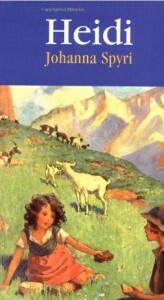 Bedtime Story: Classic Book Tells Raw Milk Tale - Hartke Is Online! 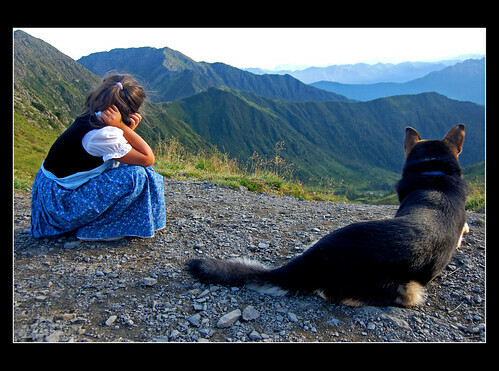 Most people know the story of Heidi, the five-year old Swiss girl who lived high up in the Alps, drank raw goat’s milk, ate raw cheese and dark bread, and ran wild outdoors with her friend, Peter. 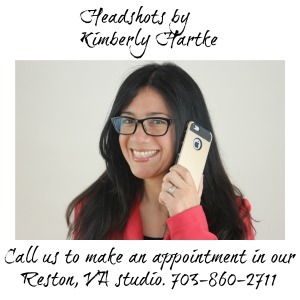 Heidi is famous for her vibrant health, happiness, and sunny disposition. Johanna Spyri, the daughter of a Swiss village doctor, who wrote the story in 1880, could never have imagined the success and popularity her book would enjoy. In those times, doctors used raw milk as a health and curative food. Heidi became a world-wide success story already at the end of the 19th century and remains the most popular work of Swiss literature today. More than 50 million copies have been sold in 50 languages. The story is so beloved because it talks about the goodness of nature, natural foods, healthy children, and love and compassion. We are probably most familiar with the film Heidi, made popular by the famous child actress, Shirley Temple. Heidi is the story of a young orphan girl who is taken by her Aunt Dete to her grandfather who lives a hermit’s life high up in the Swiss Alps. Dete, the sister of Heidi’s deceased mother who has been caring for her, has found a job in Frankfurt as a domestic, but she cannot take Heidi there with her. Heidi quickly accommodates to her new surroundings in the primitive mountain hut. She becomes friends with Peter, the Goat herder and his Grandmother. Her loving unabashed curiosity for the nature and beauty around her endear her to her gruff grandfather and to almost all those she meets. She drinks fresh raw goats milk every days, eats the cheese and the dark bread he prepares, and gets plenty of fresh air and sunshine (without sunscreen) while accompanying Peter and his goats to their Alpine pastures each day. The native diet and lifestyle agree with Heidi and she blossoms and becomes a very happy little girl, satisfied with her life. But Aunt Dete comes back and takes Heidi with her to be a companion to the sickly daughter of a wealthy merchant who lives in Frankfurt. Clara is confined to a wheelchair and is often too ill to get out of bed. Heidi tries her best to be a good companion to Clara and they become dear friends. But Heidi becomes more and more homesick and sickly because of the food, lack of freedom, and bad city air. Finally Clara’s father realizes that he must send her back to her beloved grandpa and mountains. Heidi returns to her grandfather and they are very happy to once again be together. She manages, by the sheer goodness of her personality and love, to smooth and soothe the rough edges of her recluse grandfather. Back in Frankfurt, Clara misses Heidi very deeply but her doctor feels she is too weak to make the journey. Clara tells her doctor that “I will truly take all the cod-liver oil you prescribe,” because she wants to get strong and well and visit Heidi in the mountains. Clara took her cod liver oil and was able to visit Heidi the next summer. She became strong drinking the raw goat’s milk and living in the fresh air, and was able to walk again. The story of Heidi is one which truly espouses the Weston A. Price lifestyle. Dr. Price advocated feeding young children plenty of fresh raw milk and cheese, cod liver oil, whole foods, and allowing them sunshine, fresh air and exercise. We think that Dr. Price would smile fondly when hearing the story of Heidi, especially the happiness surrounding the dramatic recovery of young Clara from drinking raw milk . 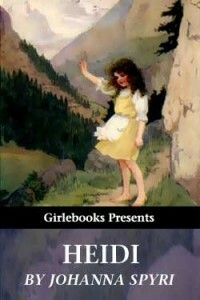 Here is a free downloadable copy of Heidi. A touching story. Thanks for sharing. I’ve heard of Heidi before, though I have not read the book. I may have seen the Shirley Temple movie long ago but don’t remember. So interesting to hear the story was written in 1880. A timeless classic. .-= Bryan – oz4caster´s last blog ..Sorry Soy =-. My girls are reading Heidi right now. I’ll make sure they see the whole food connection! Thanks for the reminder, I’d almost completely forgotten! .-= Local Nourishment´s last blog ..I Need Cooking Classes! =-. We read this book with our children last year and enjoyed it. One thing I recall though is that Heidi herself is convinced that the *soft white* (refined, presumably) dinner rolls eaten in Clara’s rich Frankfurt home are a health food that will help Peter’s ailing grandmother better than the brown (whole-grain) bread these peasants normally eat! But the book is great. Heidi and Peter also got tons of exercise by going up and down those mountains! I adored the story of Heidi from childhood, and when we visited my grandparents in a town in the Rocky Mountains, I would pretend I was Heidi! I started following the Weston Price foodways 12 years ago, but it was only recently that I remembered Heidi and that the description Dr. Price wrote of the Swiss lifestyle in the 1930’s might be validated by Spyri’s story. I was delighted to find a copy and reread it, and it did indeed tell the same story, of living in a remote part of the Alps and eating the dark (wholegrain) bread, cheese, and raw milk. And the rarity of meat was shown when the doctor from Frankfurt brought a sausage and Peter was completely overcome by the sight! I also loved how the grandfather chose one goat to be the one to give milk for Klara’s healing, and the goat was left to find the right plants to eat high up on the mountain so that her milk was especially nutritious and healing. I now live primarily on raw grass-fed Jersey milk, raw cheese, cod liver oil, homemade sourdough wholegrain bread (limited amounts), organic vegetables and salad with unrefined olive oil. Meat, fish, or poultry on weekends. It’s helped my diabetes and gout enormously. The ‘dark bread’ is of course fermented sourdough ryebread which is in fact WAPF-proof and low in phytic acid! White flour is certainly not very good, although it is indeed low in phytic acid. I love the Heidi story!